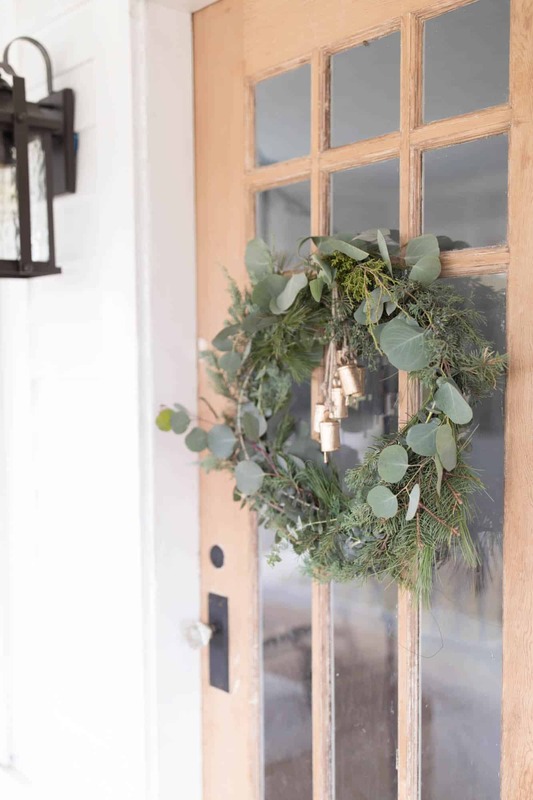 See how I made a DIY Wreath for Christmas with fresh greenery clippings and eucalyptus. 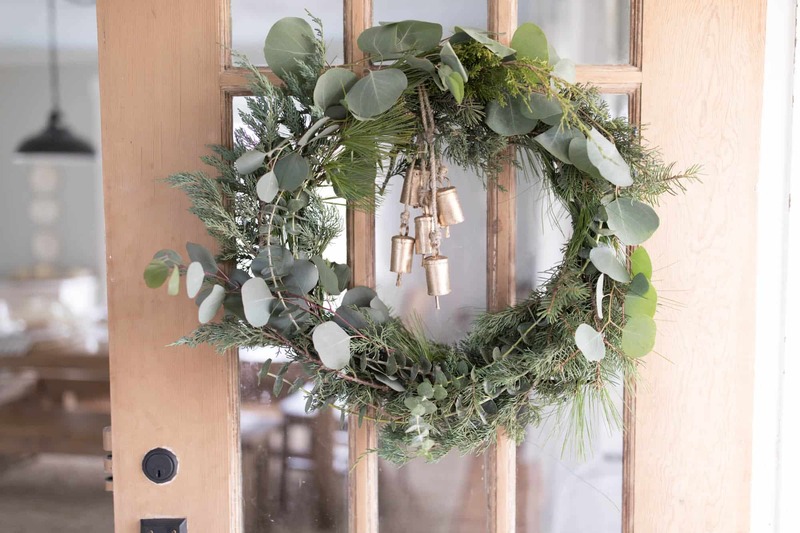 Make a fresh Christmas wreath for inexpensive decor this season. A few nights ago my husband and I gathered all the kiddos in the van and went out in search of scrubby overgrown evergreen trees. 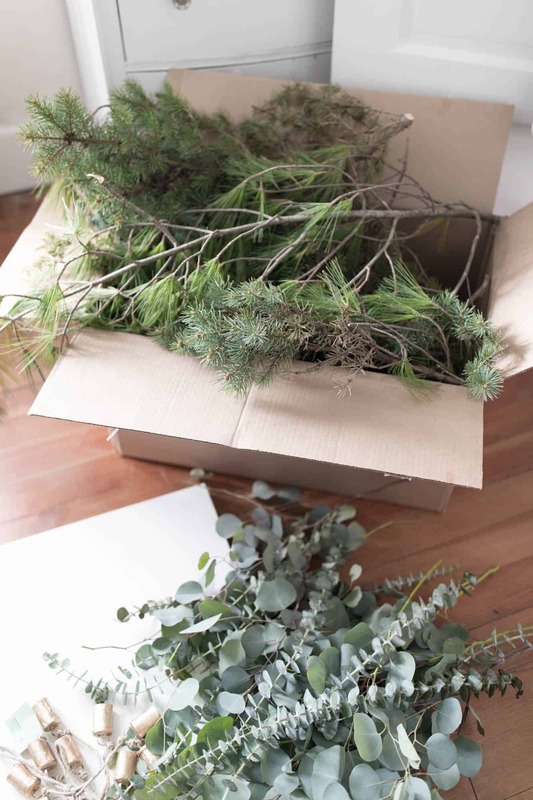 We collected four different types of greenery with our hedge trimmers, and threw them all in a big box. 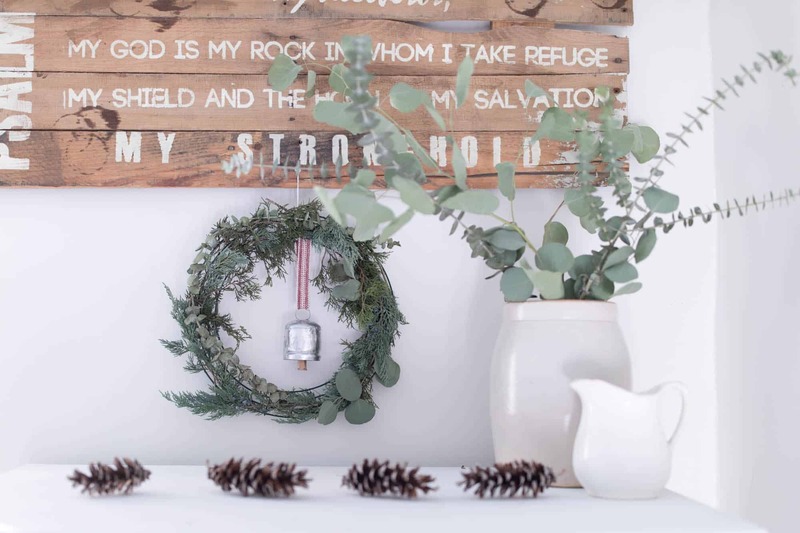 I had a vision for fresh wreaths and garlands for our Christmas home tour, on the cheap. A few days before that I made the trek out to the nearest Trader Joe’s to grab several bundles of fresh eucalyptus. 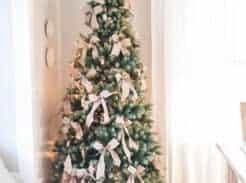 I wanted plenty of natural elements for my Scandinavian style Christmas decor plans this year. In keeping with the theme, I purchased a few bundles of metal bell clusters from World Market. I just knew they would look lovely on a big old fresh Christmas wreath. I already had three wreath forms, and floral wire, in the basement, but I had to strip off the dry greenery from last Christmas. They were still green, but very faded and quite dry. New wreaths were definitely necessary! The whole process was so simple and seriously took about 10 minutes to complete. I even decided to make a couple wreaths for my Christmas bedroom with these bells. 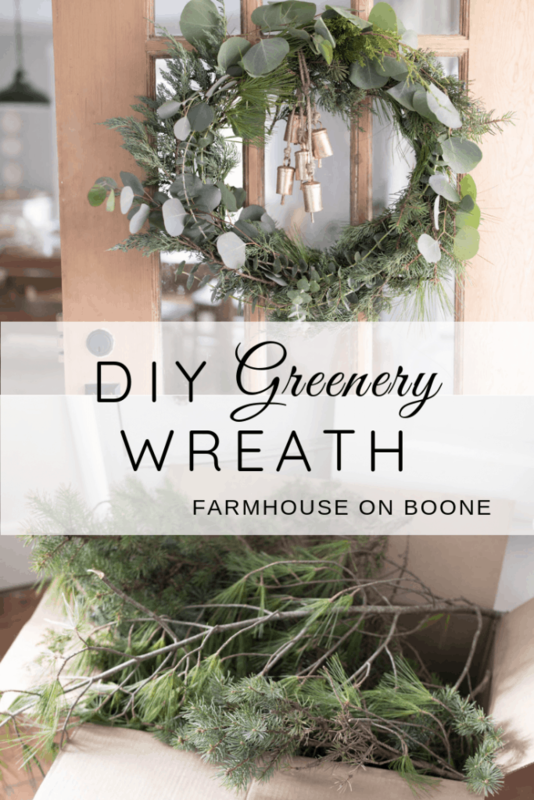 The process for making a fresh greenery wreath is simple. 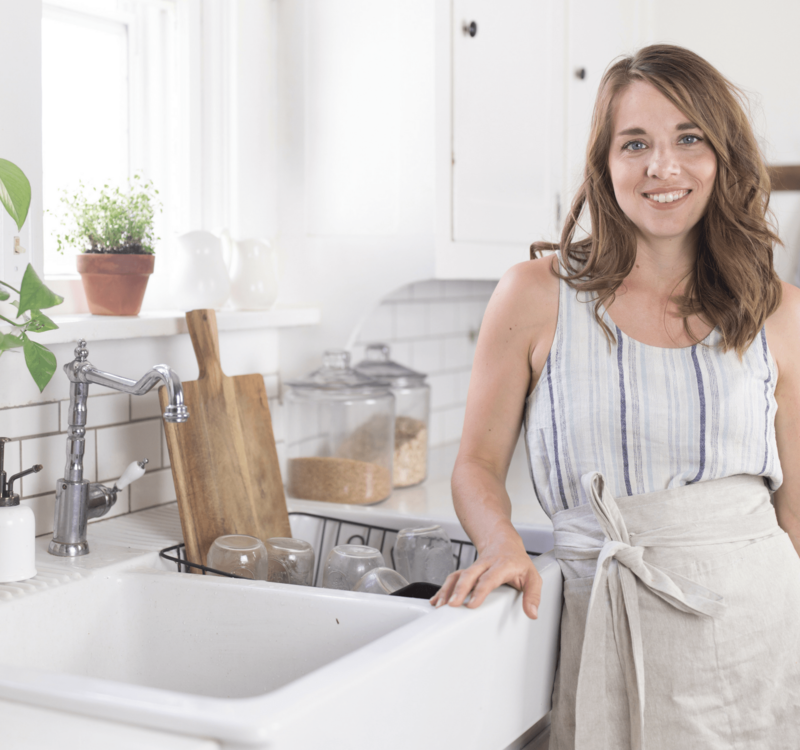 Start with a wire wreath form, like this one. 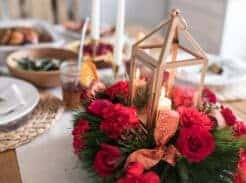 Use floral wire to wrap greenery around the form. Work little by little and adjust the greenery to make it have the same fullness all the way around. I like to use a variety of different greens and just mix them all in evenly. On the big wreath, I started with one kind of greenery and made a base layer. From there I just dispersed in different evergreens. I added the eucalyptus last, because I wanted it to be the star of the show. The other greenery served as more of a backdrop. 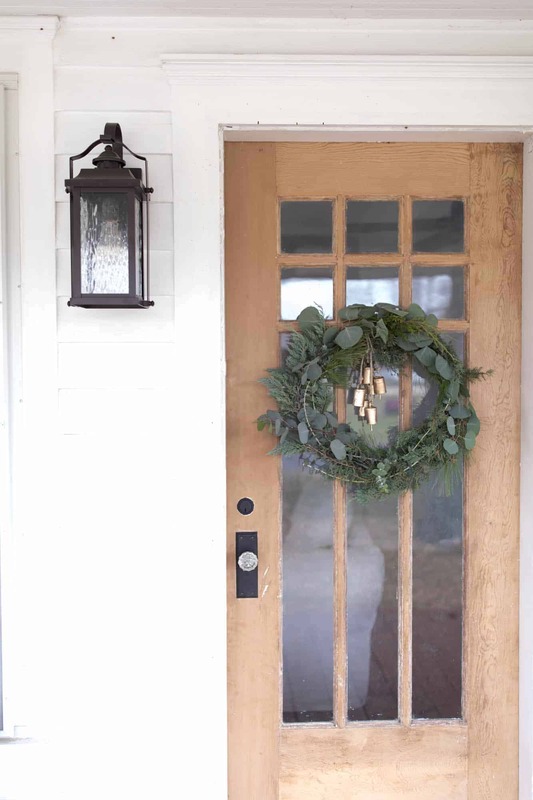 I made the wreath on the front door quite a bit fuller than the ones in the bedroom. To finish the wreaths off, I tied on bells. 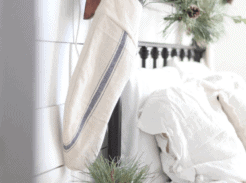 For the bedroom wreaths I used a little strip of grain sack fabric to tie on the bells. I love leaving the wreaths with a bit of a messy look. Just play around with it and wrap greenery on until it looks pretty. The wreaths are gorgeous, Lisa! The bells just finishes it off so nicely. Inspired, I went to my local World Market but couldn’t find those cluster bells. Out of stock online too. Will go ahead with wreath making substituting different bells. Thanks so much for the tutorial!